From manual farming, farmers in Castillejos, Zambales now engage in farm mechanization at low costs through enterprise support from the Department of Agriculture’s Philippine Rural Development Project (DA-PRDP). The Nagbayan FFS Association is a cooperative with 31 members who are mostly rice and sweet potato producers. With the damages brought by typhoons and natural calamities, the group proposed for farm equipment to help them recover from incurred losses. In cooperation with the local government unit and Project offices, a Mini Four Wheel Drive Tractor with implements were awarded with a total enterprise cost of P880,000 – the first tractor ever received by the association. “We used to rent tractors from private associations at P1,400 per hour. It was expensive but we still availed of their services because we really needed it,” recalled Marcelino Alterado, chairman of Nagbayan FFS. 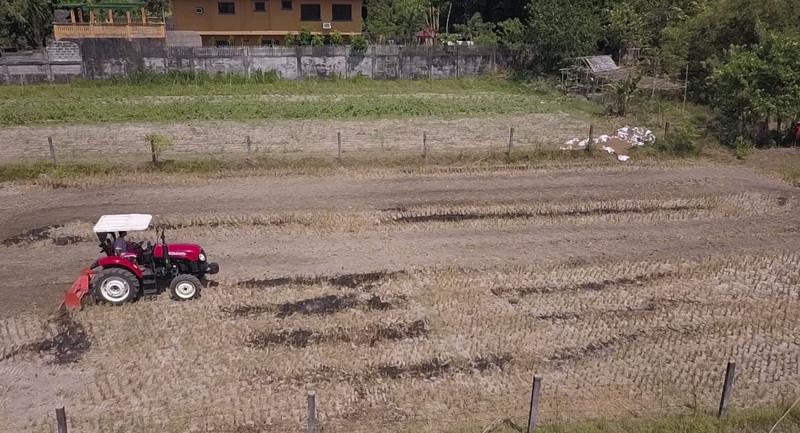 Farmers mostly rented from private groups because the existing tractor in the municipality cannot suffice the whole Castillejos, and it would take them almost a week before the request gets approved, according to Alterado. It was the group’s proposal for PRDP that pushed them to formally register as a cooperative. Determined to acquire a farm machinery equipment from PRDP, they registered on May 2015 under the Department of Labor and Employment (DOLE) with the name Nagbayan Farmers Field School Association. The coop was then able to come up with a project proposal that will support them in land preparation services while increasing farmers’ income, with much needed support from the LGU. “I remember being so ecstatic while bringing the good news to our association. We are truly grateful to PRDP for this equipment that will help small farmers like us. We will be more than willing to share this blessing even to non-members of Nagbayan,” said Alterado.